FAME! I'm gonna live forever! You’ll always remember its name, the iconic Fame the Musical is preparing to embark on a UK with a stop in Glasgow this summer. Flying high in celebration of its 30th Broadway anniversary, the stage adaptation of the 1980 phenomenal pop culture film will run at the King’s Theatre in Glasgow from Monday 30 July until Saturday 4 August. 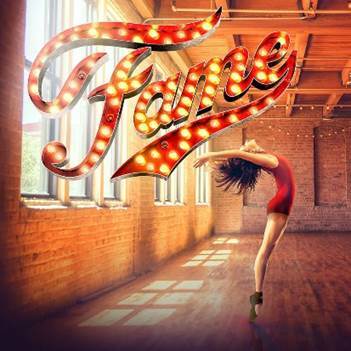 Fame the Musical has seen seven West End runs since opening on Broadway in 1988 and continues to be one of the best loved musicals across the world. The well-known story follows the lives of students at New York’s High School for the Performing Arts as they navigate their way through the highs and lows, the romances and the heartbreaks and the ultimate elation of life. This bittersweet but uplifting triumph of a show explores the issues that confront many young people today: prejudice, identity, pride, literacy, sexuality, substance abuse and perseverance. Featuring the Oscar-winning title song and a cast of outstanding dancers, singers, musicians and rappers as they transform from star struck pupils to superstars. Fame the Musical will live forever.